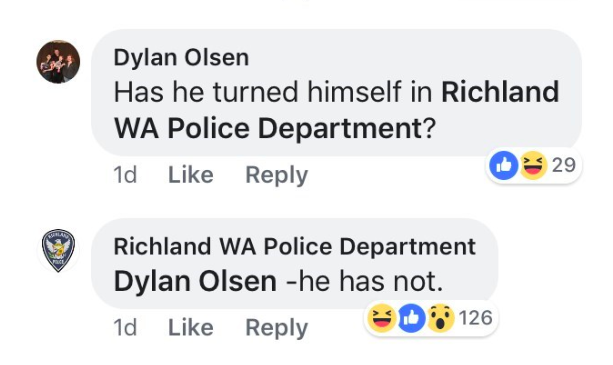 A guy responded to his own police ‘wanted’ post on Facebook and the entire exchange is comedy gold. When the police share images of wanted criminals on social media, they’re probably aware it’s a bit of a long shot how anything will come of it. I imagine people who don’t want to be found will usually avoid any chance of recognition, maybe change their appearance and almost definitely stay away from Facebook. 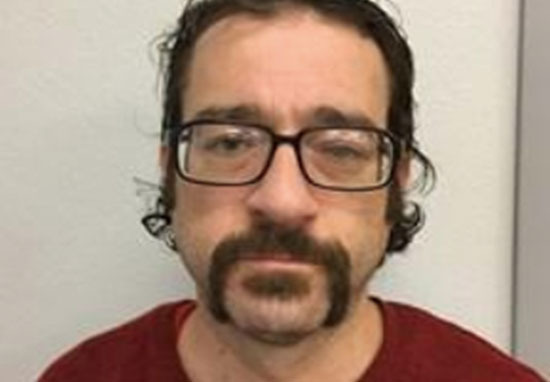 When Richland WA Police Department shared an appeal for information about him, the 38-year-old responded to their post assuring them they wouldn’t be looking for him for too much longer. Wanted Wednesday! Anthony Akers (38) is wanted by the Department of Corrections for Failure to Comply. If you have any information please call 509-628-0333. Great news for any police chasing an elusive criminal, right? Of course, Akers didn’t make it that easy for the police, and what followed was a back and forth exchange worthy of any rom-com, with a classic hard-to-get love interest storyline. Or person of interest, in this case. 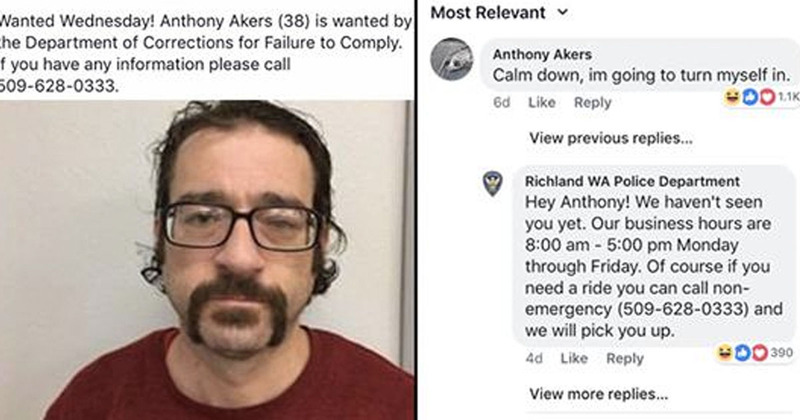 After his promise to turn himself in, the 38-year-old played the classic ‘keep ’em waiting’ card, and after a couple of days, Richland PA Police Department were still staring hopefully at the door, expecting Akers to come knocking at any moment. Praying Akers wasn’t simply filling them with false hope, the police replied to his comment and tried to speed up the process by generously offering him a lift to the station. The fact he’d probably be handcuffed and thrown into the back wasn’t mentioned. Wanting to remain honest with his pursuers, Akers offered a well thought out explanation as to why he hadn’t yet come to the station, and even added an expected time of arrival for their convenience. Despite the fact he’s a criminal, I’m kind of on Akers’ side for this one. It’d be annoying having an unfinished task niggling at you for a month – as long as it’s nothing too serious, of course. 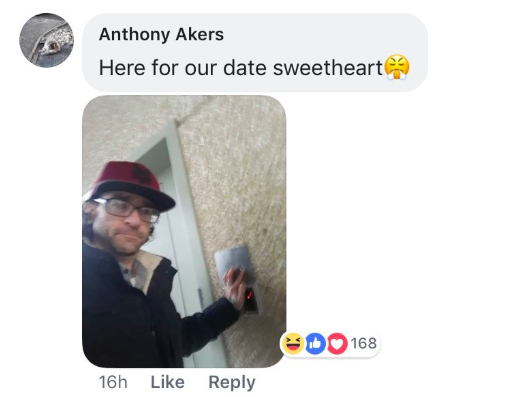 A couple of days later, one Facebook user who was following the saga, asked the police if the criminal had turned himself in yet, but unfortunately Akers’ promises had fallen short – yet again. As with any flaky partner in a rom-com, Akers had his excuses for not fulfilling the arranged plans, and they were made up of all the classic lines. But would the police take him back after he let them down so many times? Well, yes. Because he was a wanted criminal. Dear RPD, its not you, its me. I obviously have commitment issues. I apologize for standing you up, but let me make it up to you. Thank you in advance to your response if you are patiently giving me another chance with us, I know i dont deserve it. After days of back and forth, you’ll be glad to know the rom-com reached it’s happy ending! Well, happy for the police, at least.